Alex is available to write nutrition content for websites, newsletters, magazines, and blogs. Need a nutrition fact sheet? Allow her to develop one based on your specific needs. Does your food or nutrition company need the assistance of a registered dietitian? Alex can provide nutrition services to help your company reach its goals. Services range from menu development to social media campaigns and messaging. As a go-to nutrition expert, Alex is available for interview by writers or journalists for articles. 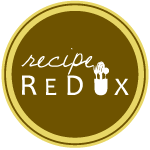 Alex develops and provides Lunch-and-Learn presentations and health fair booths on nutrition-related topics of your choice. Past topics include Snacking for Success, Eating for Heart Health, Healthy Eating on the Run, General Nutrition, Getting to Know MyPlate, and more.